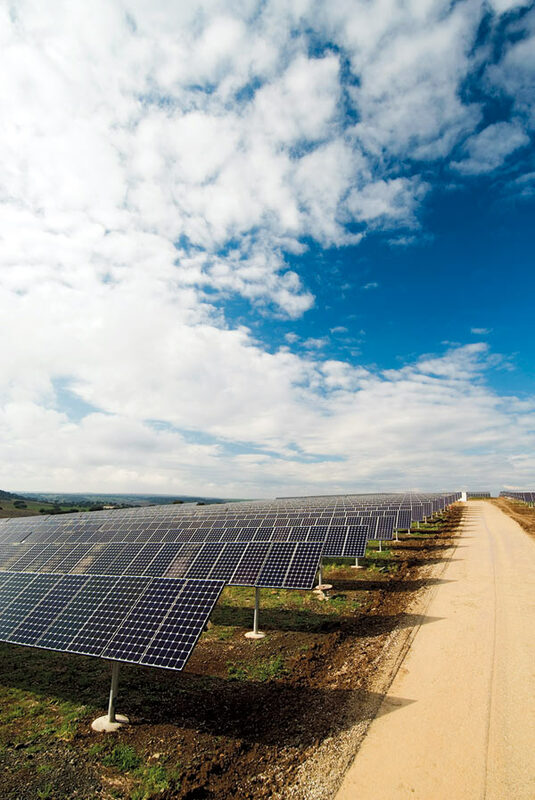 Slideshow: One of the largest solar power plants in the world went on line this winter in the sunny pastures of Serpa, a town in southern Portugal. The plant is owned by General Electric and operated by PowerLight of Berkeley, CA. At its peak, around noon on a sunny day, the solar park can generate 11 megawatts of electricity–enough to power 8,000 homes. 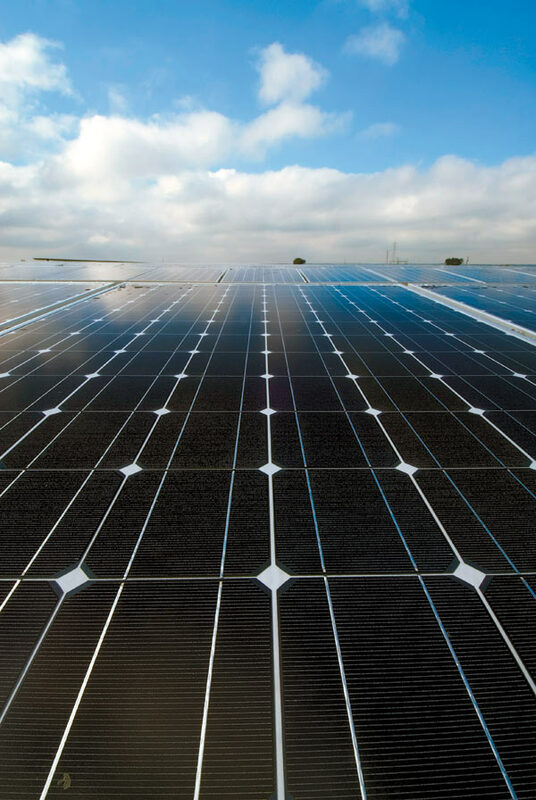 Slideshow: The Serpa plant’s 90 acres are covered by 52,000 panels that support nearly four million solar cells (black squares). 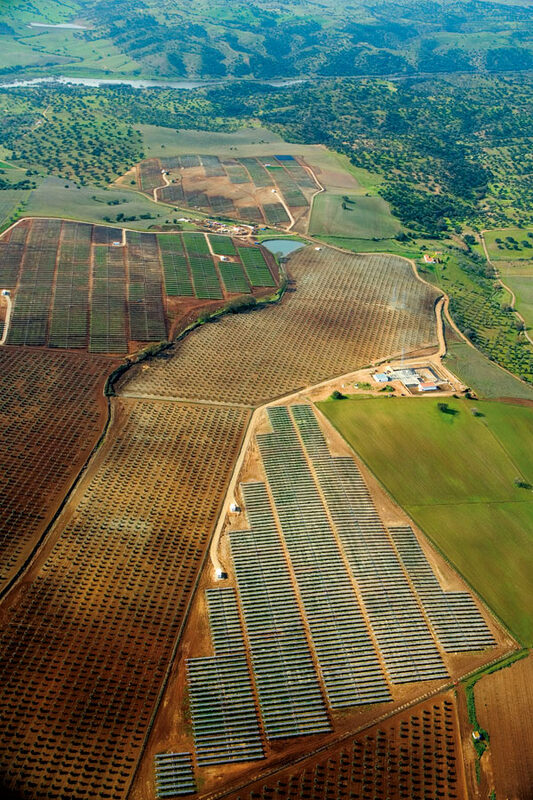 Howard Wenger, executive vice president of PowerLight, says that building a solar park this large offers economies of scale: it is less expensive than installing the same number of solar cells in smaller plants or on the roofs of individual businesses and homes. Slideshow: The park cost General Electric $75 million and is expected to turn a profit. Portuguese utilities are required to purchase electricity from the plant, with a federal subsidy of a few cents per kilowatt-hour. Customers whose utilities buy solar power will see less than a tenth of a percent increase in their electric bills. Wenger expects the plant to produce 21,340 ­megawatt-­hours of electricity each year, reducing the region’s carbon dioxide emissions by 13,000 tons over the same time period. Slideshow: Serpa is about as sunny as central California. But even on a stormy day, the plant is productive. 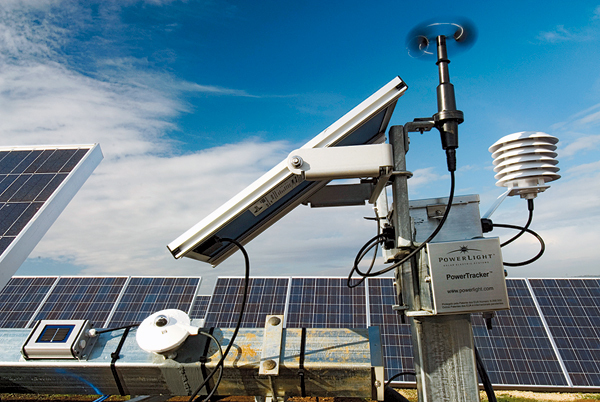 Sensor stations like the one pictured here monitor the weather and the sun’s location and control the angle of groups of solar panels. Slideshow: PowerLight’s Wenger compares the rows of panels to slats on Venetian blinds: long, motor-powered metal beams attached to the panels adjust their angle throughout the day. 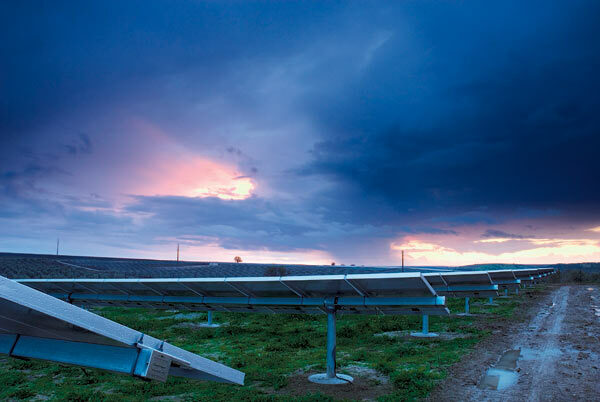 In the morning, the panels angle to catch the sun in the east; when the sun is at its peak they are parallel to the ground; as the sun sets, they angle toward the west. Slideshow: The panels are high enough off the ground for sheep to graze underneath, and the Serpa park will double as pasture for livestock. 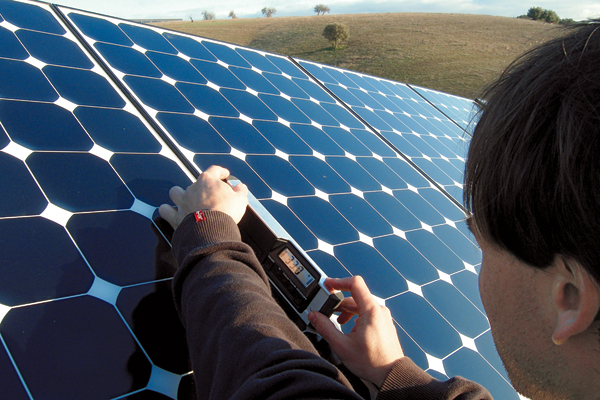 Slideshow: The final stages of the solar park’s construction included checking the panels’ orientation with an inclinometer and testing the maximum output of the panels. 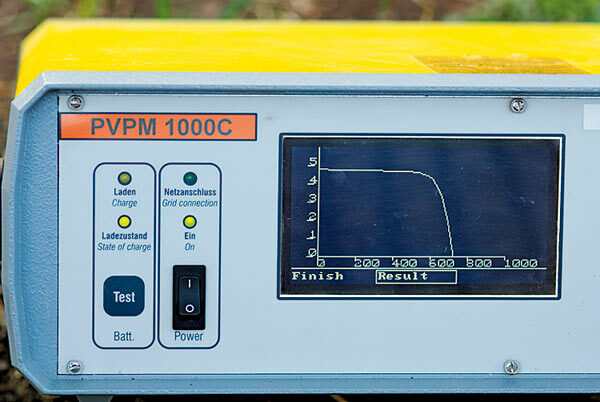 Slideshow: The readout shown here is a graph of current versus voltage for a string of panels. 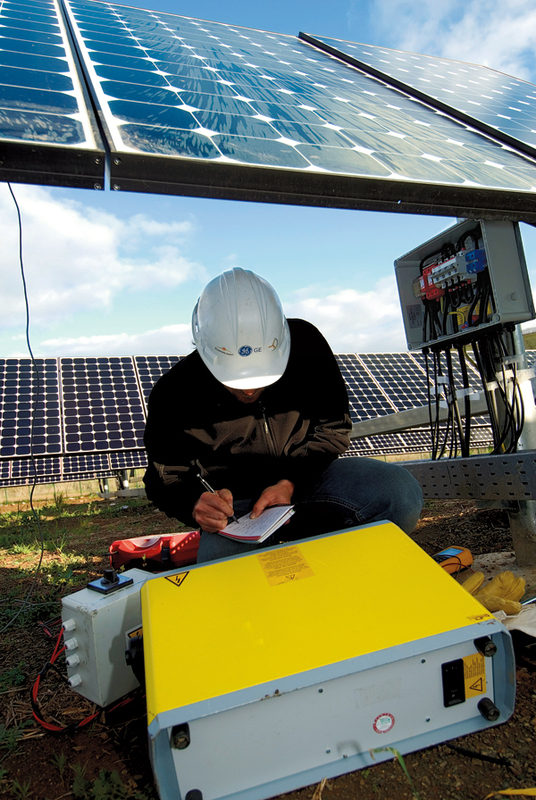 Slideshow: It tells technicians like Doug Felmann (pictured here) how much of the sunlight striking the solar cells is being converted into electricity. The plant is designed to operate with no staff on site. Rain will wash the panels occasionally. 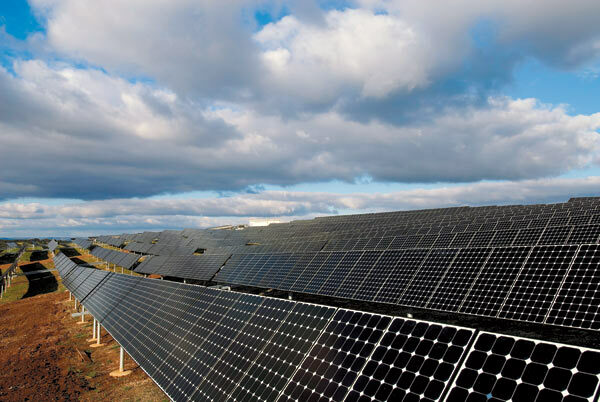 PowerLight and General Electric will monitor the output of groups of panels over the Internet; PowerLight will dispatch technicians as needed for repairs and once a year for preventive maintenance. PowerLight is building an even larger plant near Las Vegas this year.